Hopefully many of you from northern climes are gearing up for your local yacht club’s Wednesday night summer racing series. Wednesday nights, as this article from the Baltimore Sun points out, are a great way to build racing experience in a more relaxed environment. 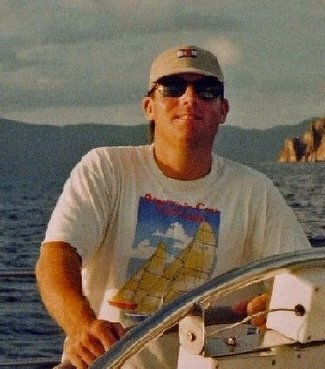 The article discusses the Annapolis Yacht Club’s series – when I lived in Annapolis in the late 90's I was out nearly every Wednesday and despite the light air (a summertime dilemma on the east coast), I always had a blast, learned a bit about racing and enjoyed post-race socializing. For more on that see this post on Marmadukes. Now that I live in the NYC tri-state area I sail Wednesdays out of the Cedar Point Yacht Club through the summer. CPYC is on Saugatuck Island in Westport, CT – it’s a one design racing club, no fancy digs…just an open air clubhouse and a whole mess of sailing. Every Wednesday night boat crews take turn putting out a pot luck supper for post-race festivities, children chase fireflies on the lawn as the sun sets over Long Island Sound, the lagging boats glide in as darkness falls. I don’t know about you, but after a long winter and more than enough time spent in office buildings, Wednesday night summer races keep me sane. The first of the season for CPYC is two weeks from today and I can’t wait!